Sarasota University students access coursework for their academic programs, course materials, academic records, and University life information through the internet. Students are expected to have regular access to adequate technology resources to successfully participate in their courses and avoid problems accessing the course materials. It is the student’s responsibility to ensure all requirements are met prior to the start of the Trimester. The Sarasota University Institutional Review Board (IRB) is an independent review committee established in accordance with federal regulations governing the use of human participants in research. Any research conducted by Sarasota University faculty, staff, or students must be reviewed and receive certification from the IRB before the data gathering portion of the research is initiated. Research involving the Sarasota University community must meet IRB guidelines and have the approval of the Vice President of Academic Affairs. The IRB follows the specific rules of the federal government (Code of Federal Regulations, Title 45, Part 46 (CFR Title 45, Part 46, 1991)), The American Psychological Association’s (APA) Ethical Principles of Psychologists and Code of Conduct, and the guidance provided by the Belmont Report: Ethical Principles and Guidelines for the Protection of Human Participants of Research (The National Commission for the Protection of Human Participants of Biomedical and Behavioral Research April 18, 1979). These documents are given to students electronically during the orientation seminars and are available through the Office of Academic Affairs. A specific training module with IRB application forms is available to anyone in the Sarasota University community planning to conduct research. Students are expected to attend and actively participate in all assigned online activities, course teleconferences and in all in-residence meetings. Activities and assignments for each course are posted on the course website and also contained within the course syllabus. Students should consider their own schedules to be sure they can meet course requirements before registering for a class. Participation in online classes is monitored, and attendance is taken and reported for class residencies. Students should notify the course instructor as soon as possible, if they may not be able to make a class meeting or complete a course assignment or activity by its due date. Unexcused absences or incomplete assignments and activities may result in a lowered or failing final grade for the course. Issues related to attendance should be addressed with the course instructor and then the Department Chairman, if necessary. If the issue is not resolved a student may appeal in writing to the Vice-President of Academic Affairs. The University reserves the right to cancel a course if the enrollment is insufficient. Enrolled students will be notified of course cancellations and offered enrollment in other program appropriate courses. Courses provide 3 credit hours of credit. They are offered, depending on the program, either completely online or in a combination of online and residence activities. All courses are 8 weeks long. Sarasota University operates on a tri-semester (“trimester”) calendar of 16 weeks with each trimester divided into two eight week terms. At the course level, the “45 hour” rule applies for measuring credit hours. This means that the student performs 15 hours of instruction and 30 hours of preparation for each credit hour. For a 3 credit hour course, a student will perform 135 hours of a combination of instruction and preparation. Instructional interaction includes posting and interacting with teachers and students in discussion boards, posting and interacting with classmates in Chat Rooms and other forms of social media, and interacting with teacher and classmates in teleconferences. Students are required to participate in learning activities each week, submitting assignments by the due date. An additional six to twelve hours a week is necessary to prepare for instruction, for the study of course materials including readings, and completion of educational assignments. Many courses have a concluding activity, which may be a course-long project, an oral presentation, or a major report/paper. Each course has a designated learning activity for which student achievement is reported to the University for program monitoring and assessment purposes. Such data are collected either electronically or through paper reports. Students should use the Drop/Add form to request a change of courses after the registration period has closed. Students may drop or add a course during the first week of class (Tuesday through Monday) by submitting the form (available on the University website) to Student Services. The student should also consult with his/her adviser to determine that the course change is appropriate. Requests to drop a course after the first week are considered course withdrawals and require notification of the Department Chair and Vice-President of Academic Affairs. Students must be officially enrolled to receive credit for a class. Students must log in to the course website during the first 5 calendar days from the start date of their course(s). Students who do not log in during this time period may be withdrawn from the course. 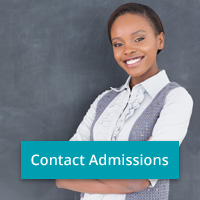 Sarasota University students generally interact with their instructors and other students through the course website, email and by phone. In addition, some courses may have toll-free conference calls augmenting the online course activities. Such requirements are described in the course syllabus with the schedule arranged by mutual agreement of students and instructor at the beginning of the course. The timeline for the completion of assignments is determined by the instructor and is posted on the course website and contained in the course syllabus. Students are expected to complete their assignments in a timely fashion. Response time to an assignment or class activity by the instructor is determined by the assignment. Generally, students can expect a response from their instructor within 48 hours of an assignment submission. Many courses have similar online components as described below. Each weekly instructional module contains Questions for Discussion (Forum), Assignments, descriptions of scheduled Chats, and details related to the Course Project/Final assignment. Full participation and completion of all assignments is expected. Professors may weight (assign a point value to) each component (making the Chats equal in value to the Discussions, for example) to meet the needs of the students and the course content and activities. The weighting of the components is posted in the course website and described in the course syllabus. On a weekly basis, students post their answers to one or more discussion questions and comment on the postings of two other students (a paragraph of 5 to 7 sentences). This facilitates an exchange of ideas among all the class members. Professors may assign discussion teams to respond/reply to each other in addition to reading the postings of other class members. Initial responses to discussion questions are posted early in the assigned week to enable other class members time to read and post their comments. Postings to the Discussion area are used for attendance purposes. Students may be asked to participate in a mutually agreed upon schedule of one to two-hour toll-free teleconference chats during a course. The chat session takes on the nature of a traditional regular classroom session enabling the students to clarify assignments and course procedures, and to discuss key current issues. Courses often have at least two teleconference chats, one scheduled early in the term and one toward the end. The chats are scheduled during a week day evening, after normal business hours. Some programs have more frequently scheduled chats as noted in the course description, posted in the course website and contained in the course syllabus. Professors and students may develop a substitute assignment for a missed chat. Each course has assignments requiring a mix of research and thoughtful reflection. Specific to each course, these “real world” assignments may involve field work (recorded observations), interviews, or brief papers. Often students have options for the type of activity they choose to complete an assignment. Some courses have a Course Project/Final Reflective assignment as a culminating activity in which students bring together and apply acquired knowledge from the course. Students have greater flexibility in identifying and developing this final activity which is intended to demonstrate the application of knowledge and achievement of course outcomes. For other courses, the final activity may be a final examination. All courses are assigned a lettered prefix code representing the academic area along with a three-digit number. Undergraduate courses are numbered from 100 – 499 and Graduate courses are numbered from 500 – 699. This numbering system does not correspond to the Florida Statewide Course Numbering System. Course substitution and program changes must be requested through the department chairperson or the student’s academic adviser by submission of a Course Substitution form. If approved by the Department Chair or Dean, a revised Program of Study form indicating the course substitution will be given to the student, academic adviser, and filed with the student’s academic records. The cumulative academic achievement of a student is reported as a grade point average (GPA). Overall grade point average is calculated by dividing the total number of quality points earned at Sarasota University by the total number of credits attempted at Sarasota University. Transfer courses and awarded credits are not counted in a student’s GPA. Sarasota University uses a 5-point grading scale. Final grades are reported for completed courses. Individual assignments may use different measures. The university allows students to submit a formal request in writing to faculty for an incomplete (I) in courses that they are not able to finish by the end of the term in which the student was enrolled. Faculty will review the request, confer with the Program Chair if necessary, and forward their determination to the registrar for inclusion on the students transcript. The student will have until the end of the next term in which to complete the course work. Once all course work is submitted the faculty member will post a final grade for the course which will replace the “I” on the student’s transcript. The primary mode of communication in any program is written communication. Intellectual honesty is a habit of mind that respects the words and ideas of others and gives credit to them. Intellectual honesty also means students are responsible for the work they submit insuring it is a fair response to an assignment and not work submitted for another class or assignment, without noting such. In a classroom discussion, the same principle applies. The University recognizes that many instances of “plagiarism” are the result of incomplete or missing citations rather than the intentional misuse of the others’ material. The University provides a required, self-study module on accepted writing standards to help students understand proper citation techniques. In addition, these standards are reviewed as part of every course syllabus and reflect correctness as well as intellectual honesty. The Publication Manual of the American Psychological Association, Sixth Edition, is the University’s standard for the development and publication of manuscripts. Repeated violations of the standards of intellectual honesty will be reported to the appropriate college Academic Progress Committee. After 3 incidents, the Academic Progress Committee will refer the complaint to the University Council for further action, which could include a recommendation for dismissal from the University. Sarasota University works in association with ProctorU to supervise online proctored learning experiences. As not all courses require a proctored examination, the course syllabus will indicate if a proctored experience is required for the course. 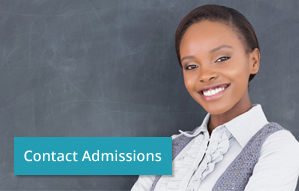 Students may also contact the Department Chairperson to inquire about proctored examinations. Students are required to re-take a course for which they received a grade of D or F and may elect to re-take a course for they received a grade of C. The grade for the re-take course is a replacement grade and is used in calculating overall GPA for graduation requirements.